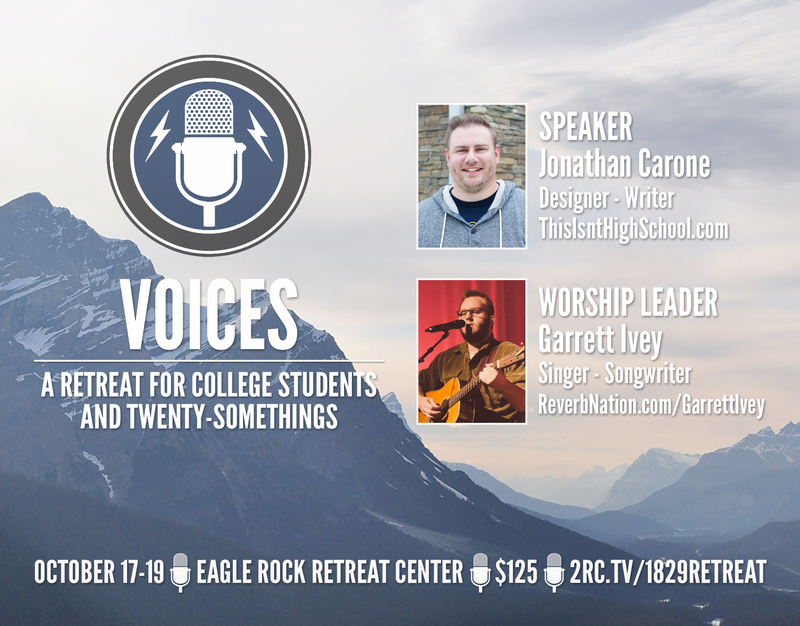 On October 17-19, I get the privilege to speak at a retreat for college students and 20-somethings. It’ll be held on top of a gorgeous mountain at Eagle Rock Retreat Center outside of Maryville, TN. If you are in that age range, I’d love for you to be there. If you know someone in that age range, I’d love for you to share this post with them. Below is a small teaser/promo for what we’ll be looking at over the weekend. If you have any questions about any of it, feel free to leave a comment or e-mail me. You can find all of the details at 2RC.tv/1829Retreat.